Earn you 17449 reward points. 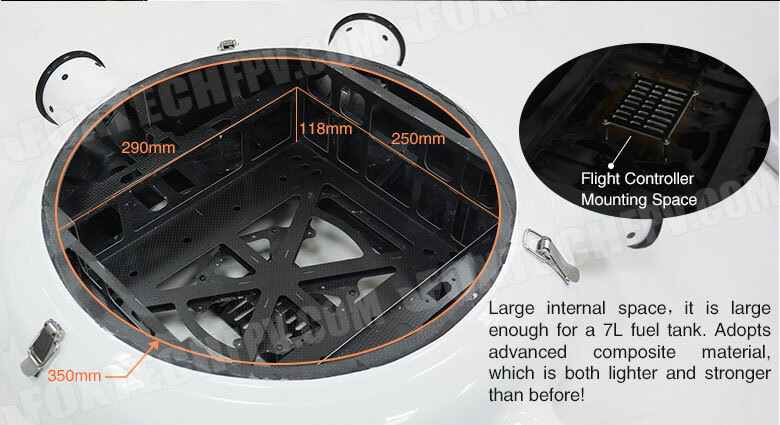 This is GAIA 160 Elite hybrid drone upgrade version, in which we update the fuel tank to 7L and the fuselage is more stronger. The take off weight of this hybrid drone is only 13.7kg with no payload. 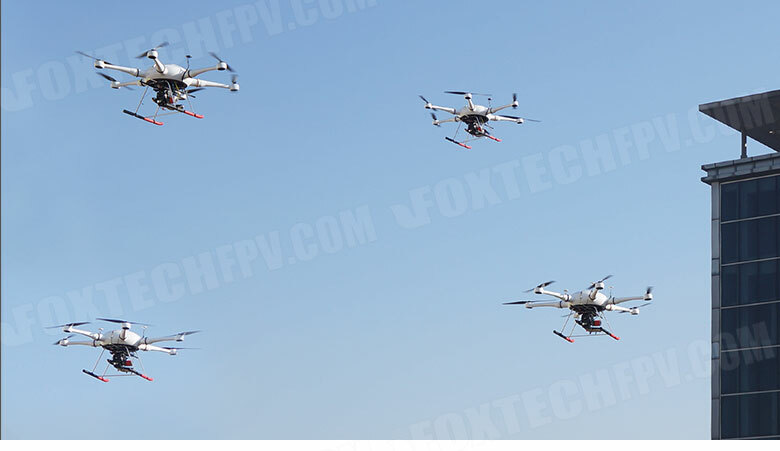 The high strength and high performance makes the drone adaptive to extreme weather conditions, e.g 17m/s wind, -40℃ low temperature, +40℃ high temperature, heavy rain, fog etc. The closed fuselage structure protects GAIA 160 Elite from the rain and dust, and also protect other load equipments like flight control and battery. 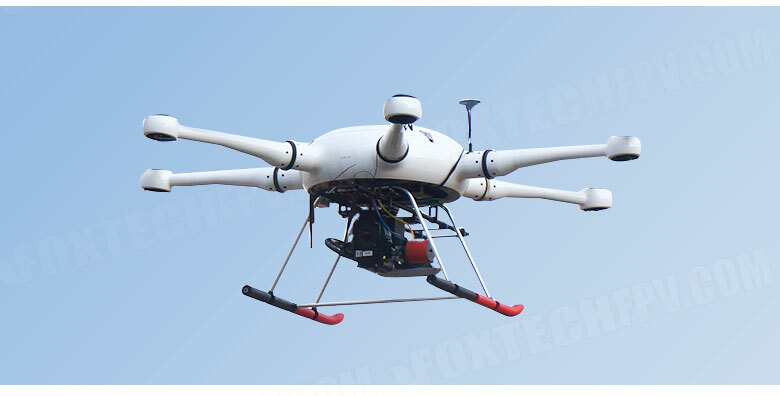 GAIA 160 Elite hexacopter is equipped with high efficient power system, including T-MOTOR U8 Lite KV85 motor, Supreme 2880T propeller and T-MOTOR Flame 60A ESC. The power system ensures large loading capacity and a very stable flight performance. Gaia 160 Elite has good power redundancy, it can still fly or land in case one propeller or motor is gone. The highlight of GAIA 160 Elite is the gasoline-electric hybrid power system. GAIA 160 Elite has an onboard 2400w generator that offers plenty of power to the six very high efficiency motors to ensure a long flight time. 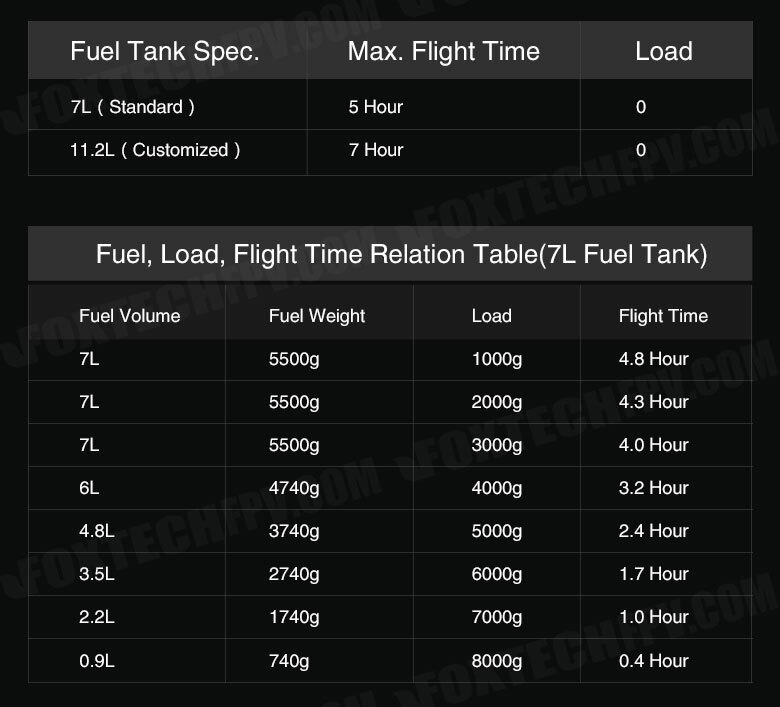 The max flight time is about 5 hours with 7L fuel. An internal combustion engine consumes gasoline and spins a generator to ensure a 48V output. Besides this, a 12S lipo battery package is also installed onboard to offer emergency back-up power for quick climbing and quick maneuvering. NOVA-2400 generator system is a high efficiency, high output and very light generator. The continuous output power of this generator is 2400w, and it is suitable for high payload or working at high altitude. 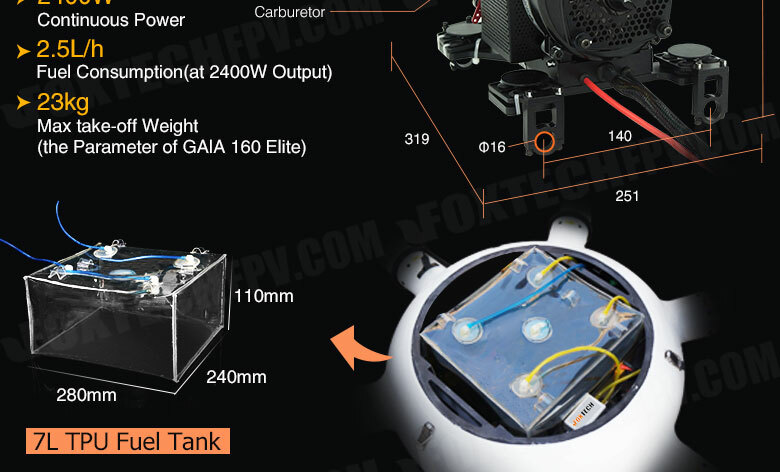 Max taking off weight of Gaia 160 by using 2400w generator reaches 23kg. With this generator you can lift 5kg payload and fly about 3-4 hours. 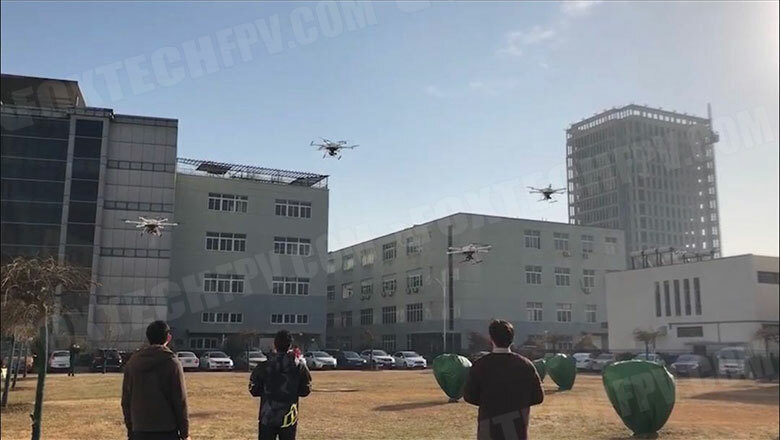 GAIA 160 Elite hybrid drone is also installed with redundancy flight controllers, three GPS and a full range of optional equipments like RTK GPS, 20km datalink, parachute, secondary radio control and more to make this drone very reliable and very safe. A longer flight time coupled with good stability and high performance of GAIA 160 Elite opens a wide range of new commercial possibilities for businesses such as inspection of offshore platforms, search and rescue, power line inspection and survey etc. - Gaia 160 Elite has good power redundancy. Hexa-copter can still fly or land in case one propeller or motor is gone. - Gaia 160 Elite's main body is made of full carbon fiber featuring light weight and high strength. Gaia 160 Elite adapts to extreme weather conditions, e.g 17m/s wind, -40℃ low temperature, +40℃ high temperature, heavy rain, fog etc. - Gaia 160 Elite uses cutting edge technologies on the power system, its motors, ESCs and propellers are all optimized and tested for long duration and long range flight. - Gaia 160 Elite's generator module is isolated from other electric equipments giving advantages for maintenance, working stability and safety. 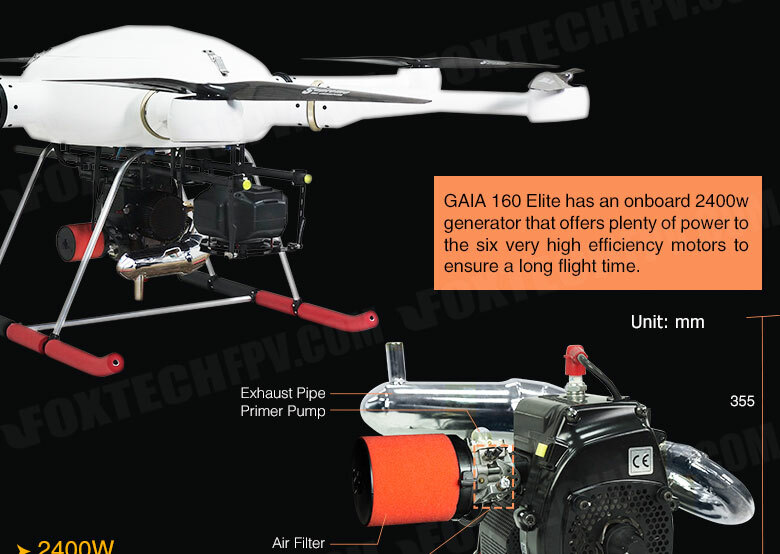 - Gaia 160 Elite uses flight controllers with triple redundancy. 3X IMU, 3X GPS and 3X Mag sensor. 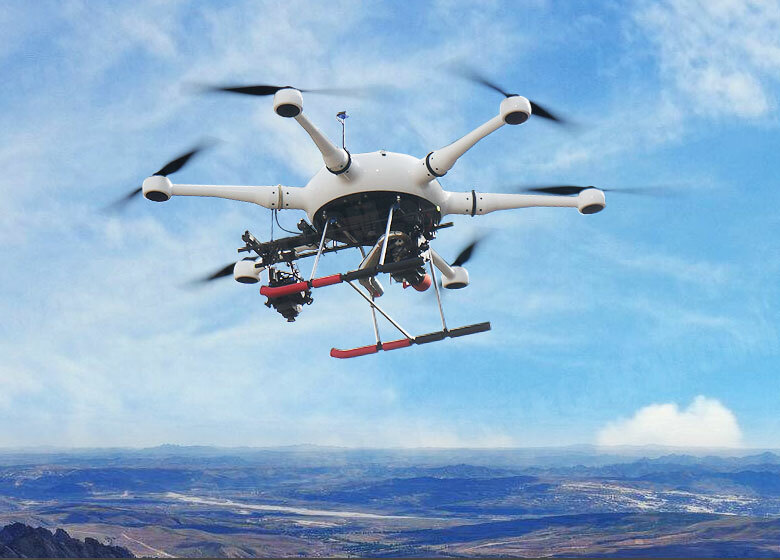 Both A3 PRO and Pixhawk 2.1 are all proved reliable and widely used on professional drones. - All Plugs used on Gaia 160 Elite are anti-spark type, all wires are optimized for long duration flight. 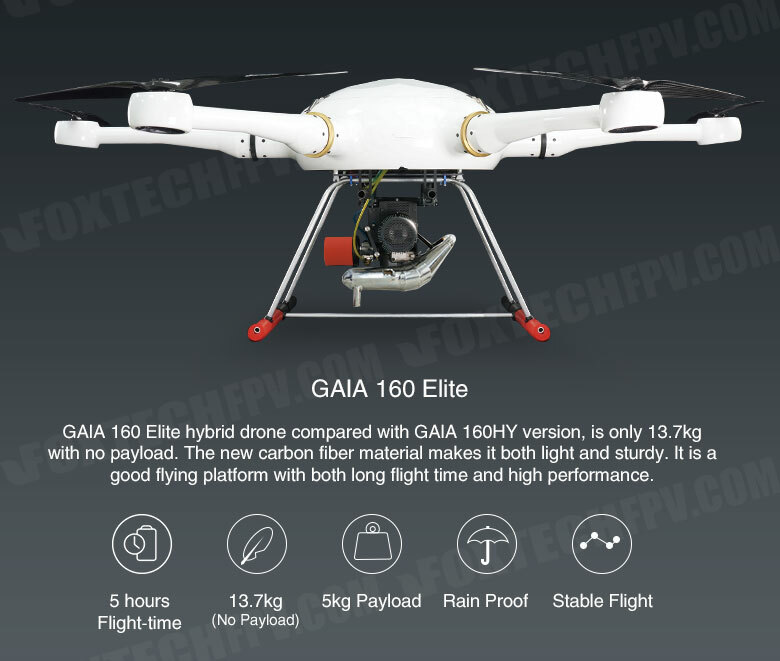 - Gaia 160 Elite is rain-proof, it’s possible to fly in mid moderate rain.